The Bruins grades continue to roll on. This time around we will be taking a look at the Bruins two primary goal tenders in Anton Khudobin and Tuukka Rask. 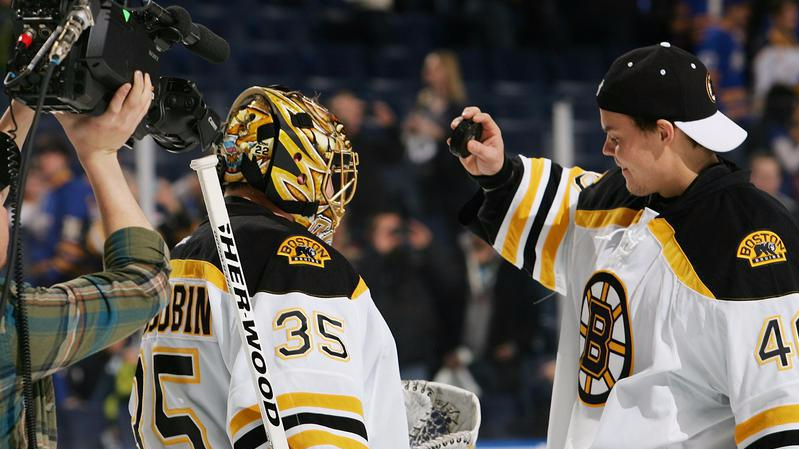 The Bruins acquired Khudobin as a free agent in the offseason. The backup netminder has played all of the place in his career. He spent the 2015-2016 season with the Anaheim Ducks. This is his second stint with the Bruins. Khudobin was a solid backup goal tender for Boston. His play wasn’t elite, but he was good enough to hold down the fort for a game whenever Rask needed rest. His play early in the season was slightly alarming, he allowed four goals four times in November and December, but then played much better over the second half of his thirteen games. Khudobin certainly didn’t play well enough to be a consistent starter, but he did enough when he was needed. The Bruins got a good season from their starting net minder, but they should expect more from him. Rask’s season was by no means bad, but given that he is the third-highest paid goalie in the league, he needs to be better. Rask’s season was one of peaks and valleys. Several times throughout the season he showed just why he is being paid so much money, collecting 8 shutouts. Other times throughout the year he looked completely lost, allowing four or more goals on eleven occasions. It’s easy to pin his inconsistency on injury (Rask had a successful groin surgery on Tuesday) but he was playing at his best toward the end of the year and in the post season. Speaking of the post season, while the stats may not show it, Rask was nearly lights out in the playoffs. Teams don’t win in the post season without strong goal tending, and every game he gave the Bruins a chance. Rask’s four allowed goals in games 4 and 5 are alarming on paper, but he is hardly to blame given all of the inexperienced defenseman he had in front of him due to the blue line injuries.